The magazine and the keeper's house were not the only construction projects that the U.S. Navy undertook at Fort Norfolk in the 1850s. Two of the old fort buildings were refurbished for use as part of the storage facility. 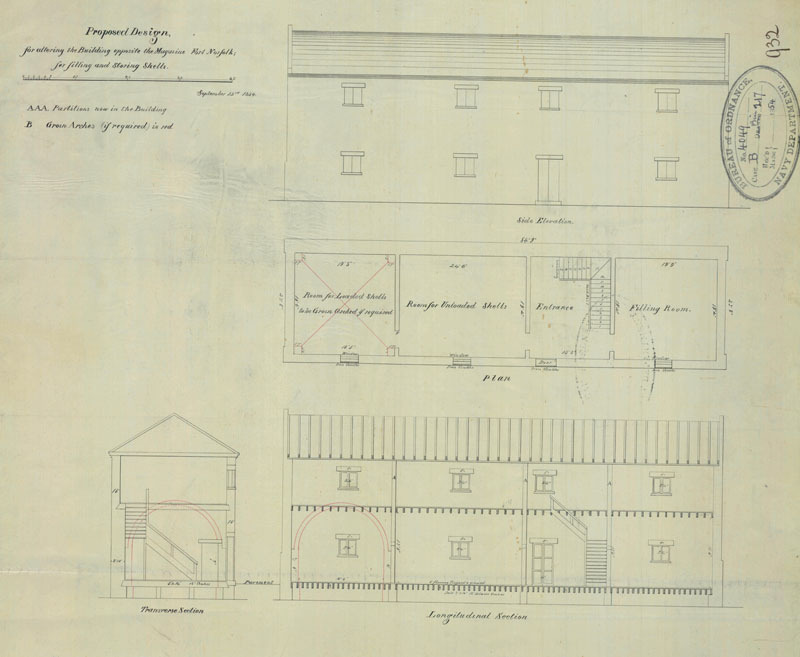 The old officers' quarters was used for "filling and storing shells" and the barracks to the south of the magazine "for filling powder tanks" (BY&D, Annual Reports, 1857-1858, Report of T. A. Domin, June 30,1856). 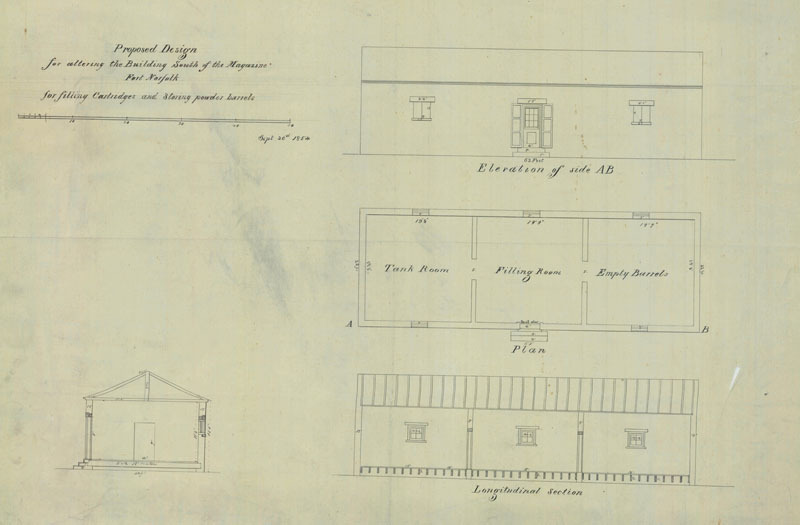 In September 1854, the Bureau of Ordnance produced plans of the proposed alterations on both buildings (Bureau of Ordnance 1854) (see above and below).